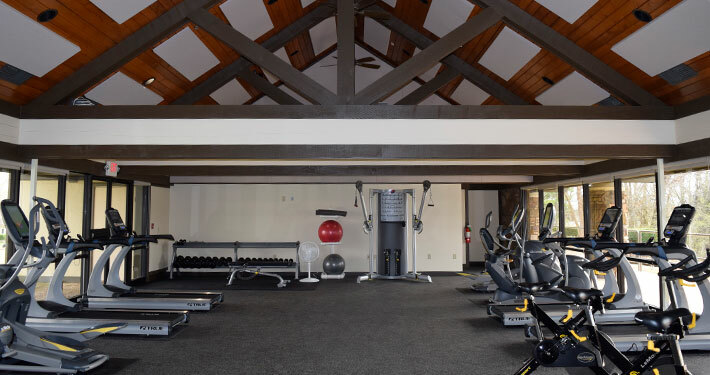 Bella Vista offers three fitness facilities located at Riordan Hall in the center, Metfield Clubhouse on the east side and Branchwood Recreation Center on the west side. 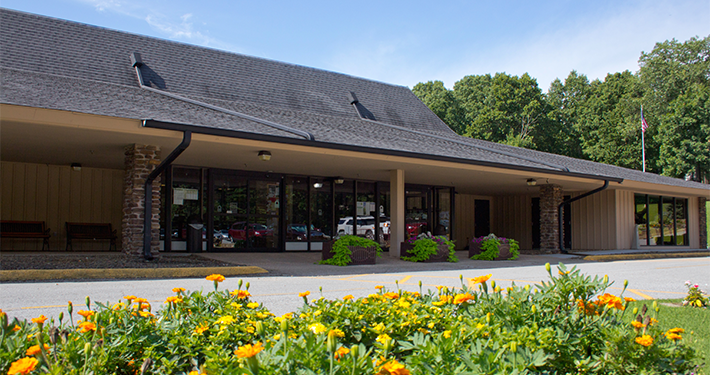 Riordan Hall is a 19,300-square-foot building centrally located in Bella Vista. The facility offers two large meeting rooms, two small meeting rooms, an auditorium, stage, a kitchen area with warmers and refrigeration, a fitness room, a hot tub with a men’s and women’s locker room, and a snooker room. Riordan Hall is also home to the Kingsdale pool. SilverSneaker Yoga Stretch Mon./Wed. 8:30 a.m.
SilverSneaker Classic Muscular Strength & Range of Movement Tue./Thu. 10:30 a.m.
Yoga – Tues./Thu. 9 a.m.
Zumba Low-impact Tue./Thu. 8:15 a.m.
Also see Water Fitness Classes at Kingsdale Pool. Sophisticated Ladies Tap Beginners Mon./Wed. 8 a.m.
Sophisticated Ladies Tap Intermediate Mon./Wed. 9:30 a.m.
Clogging General Mon. 3 p.m.
Clogging Beginners Tues. (Sep.-May) 3:30 p.m.
Clogging Intermediate Tues. (Sep.-May) 4:30 p.m.
Line Dancing General Mon./Wed. 1 p.m. Enjoy an afternoon with friends! Come play Bias Bowling or join fellow Chess players from 12:30 p.m. to 2:30 p.m. on Tuesdays. Meeting rooms at Riordan Hall are popular for card groups, club/organization meetings and classes. 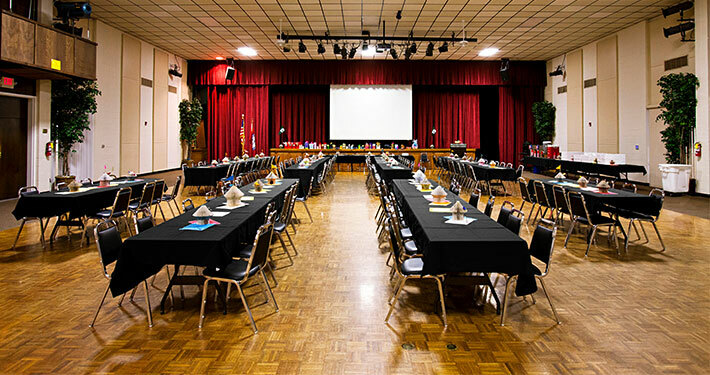 The auditorium is a perfect location for special events, parties, dances and receptions. 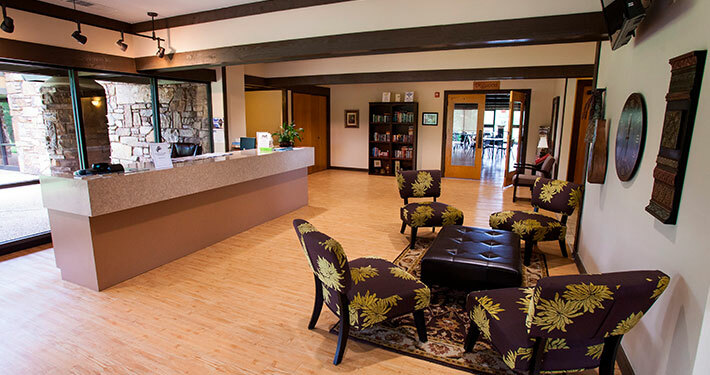 For more information about renting a room, call (479) 855-8170. Located on Bella Vista’s east side, Metfield Clubhouse is ideal location for fitness classes or to host your next event or meeting. 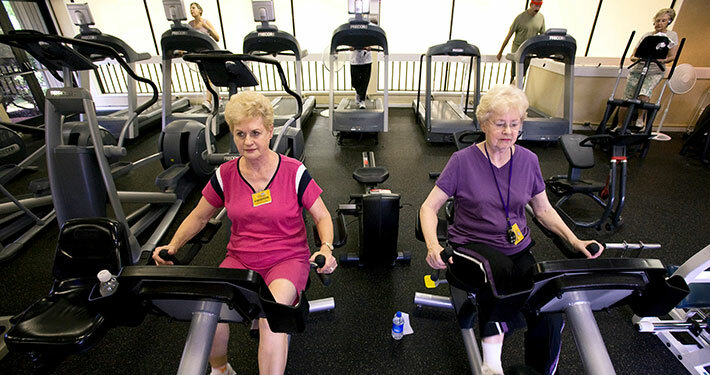 Staying fit and active is fun when you participate in one or more of the exercise classes. 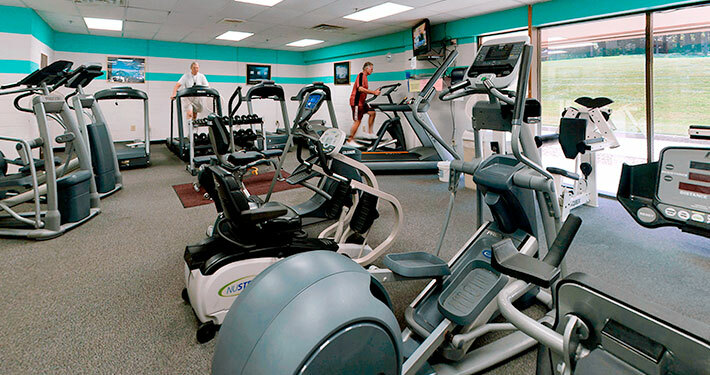 The facility’s fitness room offers treadmills, elliptical machines, exercise bikes, free weights and strength machines, perfect for a healthy lifestyle. SilverSneakers Classic Mon./Wed./Fri. 3-4 p.m. Fit Blast Tue./Thu. 6:15-7 p.m.
Indoor Cycling Mon./Wed. 5:45-6:30 p.m.
Total Body Workout Sat. 9:00-9:45 a.m. Whether you attend Total Body Workout, Indoor Cycling or FitBlast class — we’ve got you covered with the Universal Fitness Class Punch card. All POA Fitness and indoor Water Fitness Classes are universally priced and the same punch card will work for just about any class at any location: Branchwood, Riordan, and Metfield Rec Centers. Purchase a Universal Fitness Punch Card for $32.55 (tax included) which is good for any 10 classes. If you prefer to pay a drop-in fee, each class is $4. Note: If you do not have a POA issued photo ID an additional $2.50 fee is charged for facility use per visit. Silver Sneakers Classic: M-W-F, 3:00 – 4:00 p.m.
A certified instructor leads the class through a variety of exercises designed to increase muscular strength and range of movement. Hand weights and elastic tubing with handles are offered for resistance. A chair is available for seated or standing support. This class is free to Silver Sneakers and Silver & Fit Members (swipe SilverSneakers card, or Silver & Fit member sign-in). No POA Photo ID required. Non Silver Sneakers and Silver & Fit Members pay $4 class drop-in fee, or 1 punch from Universal Fitness Card. If no POA Photo ID, an additional $2.50 is required. This class is a highly intense, interval style workout, challenging the status quo your body knows. With techniques like cardio blasts, muscle confusion, sports inspired drills and functional body-weight training, you’ll gain a new level of fitness and achievement. Personal trainer Carrie Hatfield, Certified Personal Trainer, leads this class on Tuesdays and Thursdays, 6:15 – 7:00 p.m. Classes are $4 per class or save with our Universal Punch Card which gives you 10 classes for $32.55. Additional facility fee of $2.50 applies if you do not have a current POA member photo ID. This high intensity class is a great blend of cardio and strength training, TBW is cross training at its finest. Exercises include Pilates, hand weights, lots of core, plus flexibility and balance work. This class will be a bit challenging at first, but participants will adapt quickly. All ages and fitness levels are welcomed. A great class to have fun while also getting a great workout. Participants are asked to bring an exercise mat and water bottle to class. Classes are on Saturdays, 9:00 – 9:45 a.m. Classes are $4 per class or save with our Universal Punch Card which gives you 10 classes for $32.55. Additional facility fee of $2.50 applies if you do not have a current POA member photo ID. One-time workshop to learn the basics on proper use of cardio and strength equipment in the fitness center. Each class is limited to 8 participants; class is free with a current POA photo member card, Silver Sneakers member card, or current Silver & Fit membership; participants without these cards will be required to pay the $2.50 daily facility use fee. Inquire at the Recreation desk for the next scheduled class date and time. Looking for a challenging class that will push you to new fitness highs? Our indoor cycling class will get you there – it’s an interval class based on cycling drills and set to energetic music on Mondays and Wednesdays, 5:45 – 6:30 p.m. On Wednesday evenings, an optional core strength floor exercise phase is offered following the cycling portion. Note: This is a high intensity cycling class and is not recommended for those who may need to start with building a basic level of fitness. Each class can accommodate 11 participants (first-come, first-served) and pre-registration for each class is suggested by calling the Metfield Clubhouse at 855-8165. Classes are $4 per class or save with our Universal Punch Card which gives you 10 classes for $32.55. Additional facility fee of $2.50 applies if you do not have a current POA member photo ID. 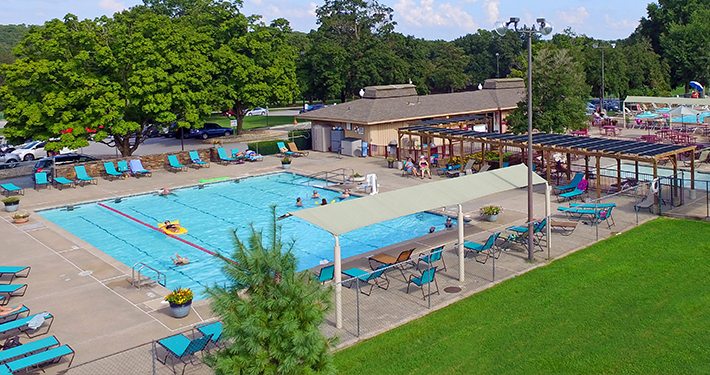 The Metfield Park was built in 1980 by Cooper Communities Inc. to provide recreation for members of all ages. The park’s main attractions is a 23-meter outdoor multi-use swimming pool. The park has two pavilions to accommodate groups up to 150 guests. 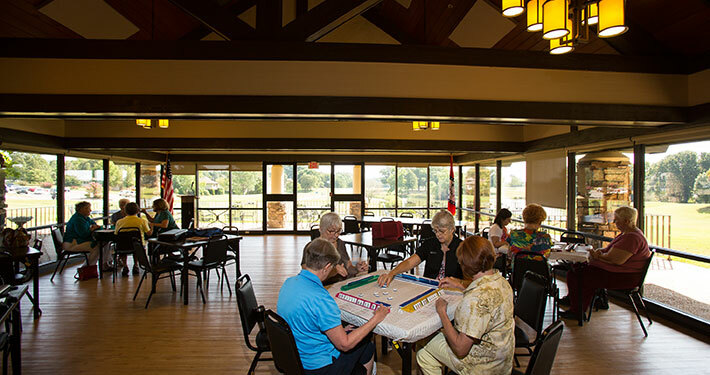 Additional amenities include playground equipment, a basketball court, shuffleboard, three pickleball courts, and an 18-hole miniature golf course with several obstacles. 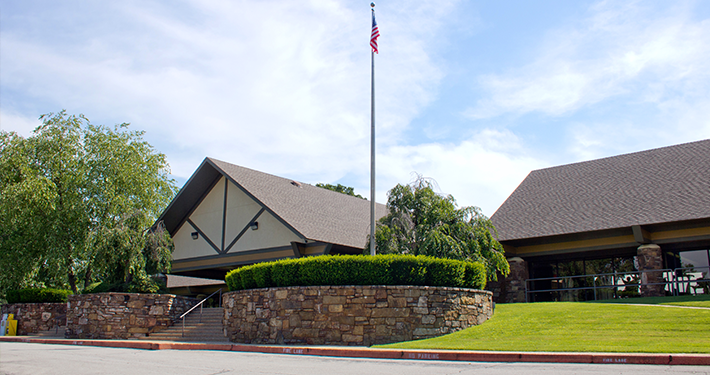 The Branchwood Recreation Center is an 11,537-square-foot facility, located on Bella Vista’s west side. 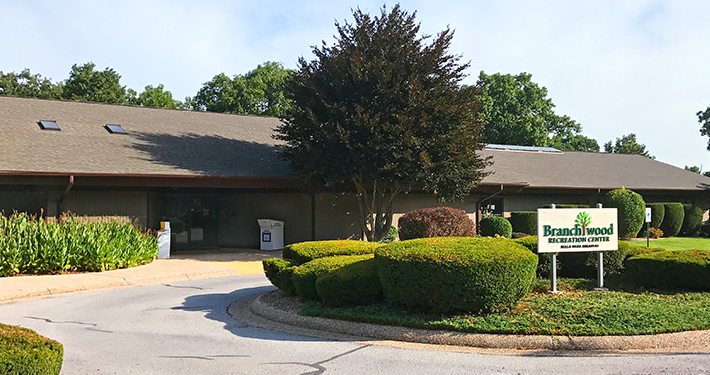 The facility has an indoor pool, fitness center, a hot tub, men’s and women’s locker rooms, saunas, a pool table, two racquetball courts, outdoor tennis, pickleball and basketball courts and playground equipment. 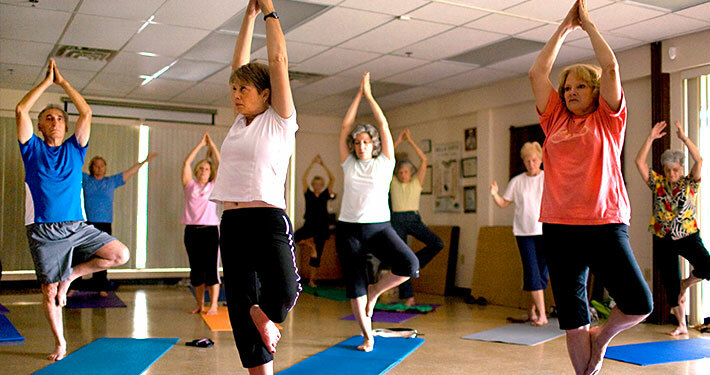 Branchwood Recreation Center also offers exercise classes, including yoga, water fitness and Total Body Workout. 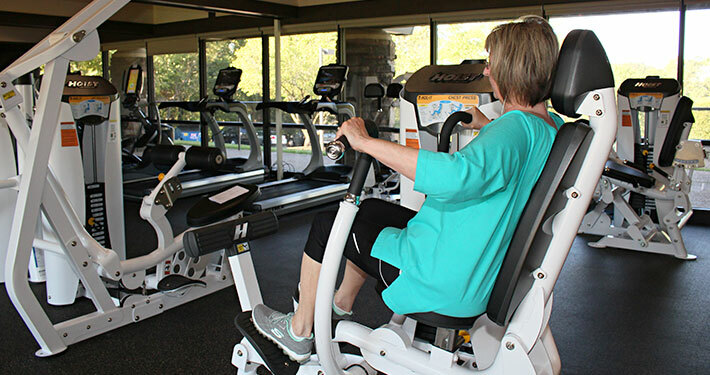 The facility’s fitness room offers treadmills, ellipticals, exercise bikes, free weights and strength machines. Children 13 and younger are prohibited in the fitness room, while children 14 and 15 must be accompanied by an adult. SilverSneakers BOOM Mon. 9 a.m.
SilverSneakers Cardio Tue./Thu. 9 a.m. Chair Yoga Mon./Wed./Fri. 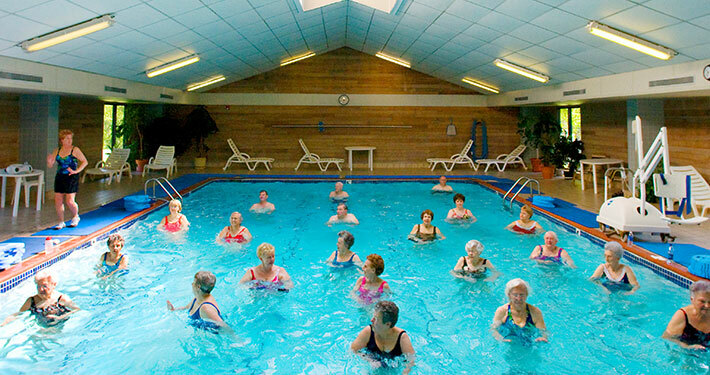 10:30 a.m.
Water Fitness Mon./Wed./Fri. 10 a.m.
Silver Splash Mon./Wed./Fri. 11 a.m.
Power H2O Tue./Thu. 10 a.m.
Total Body Workout Wed./Fri. 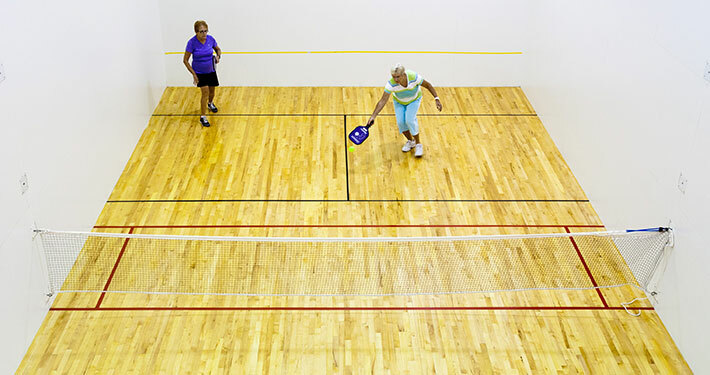 9 a.m.
A drop-in Pickleball group meets Monday & Wednesday at 1 p.m.
Two outdoor tennis and two indoor racquetball courts are available. Reservations are recommended for racquetball. The tennis courts are available for drop-in play only. To reserve court space, call (479) 855-8181.